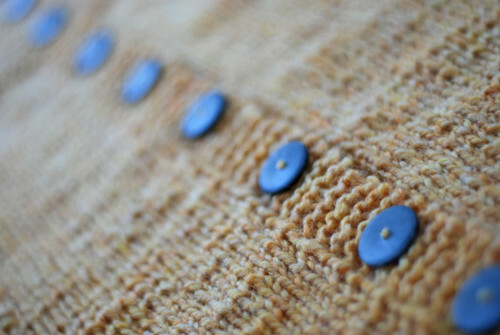 cardigan buttons | Flickr - Photo Sharing! rachellake, Julie Alvarez, and 2 other people added this photo to their favorites. that must be peace fleece, the nubbyness and intertwining of colors gives it away. and the wooly smell really can take me back in time to sweaters my grandmother knit. lovely piece, lovely buttons and that color is a delightful hint of spring to come. nice! Peace Fleece - yes! You know....for a Mainer, I'm embarrassed to admit that this was my first forray into the wonder of Peace Fleece. I really, really loved working with it. where did you find those buttons???? I love the DoF on this shot!